Your purchase is protected by a 100% Satisfaction Guarantee or your money back for ONE FULL YEAR! 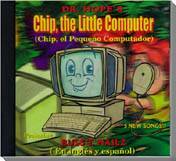 Chip, the Little Computer, is an award winning storybook. 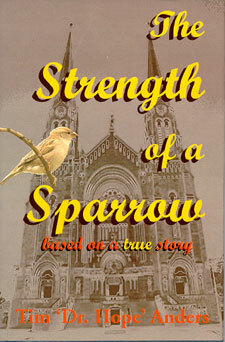 Click on the book cover to read a synopsis or the CD cover for a sample tune. Chip, the Little Computer, Hardcover Storybook. The Frog Who Couldn't Jump teaches a valuable lesson. 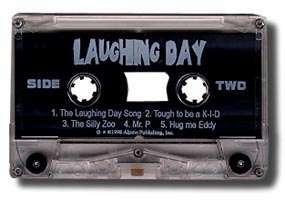 Click on the book cover to read a synopsis or on the CD cover to hear a sample tune. 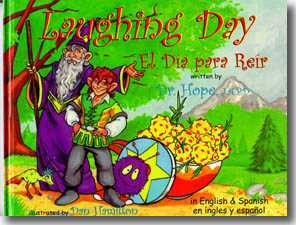 The Frog Who Couldn't Jump Hardcover Storybook. 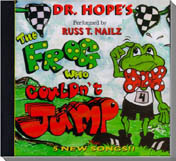 The Frog Who Couldn't Jump Special Bundle--buy both together and save! A $33.90 value! Punctuation Pals makes understanding punctuation simple and fun. Click on the book cover to read a synopsis. Wonderful Wuzs teaches the importance of living in the present and not wasting a "now." Click on the book cover to read a synopsis. Little Miss Contradiction This is the first in Dr. Hope's Silly Series. It's fun and full of off-beat contradictions. Click on the book cover to read a synopsis. Pumping Iron: A Traveling Poker Player's 10 Minute Hotel Room Workout Stay in shape while traveling in the privacy of your hotel room with this easy 10 minute workout. Plus, Dr. Hope's Helpful Hold'em Hints. Click on the book cover to read a synopsis. 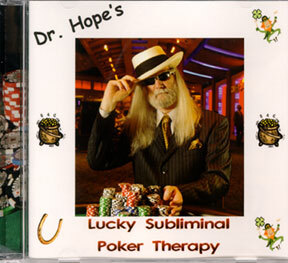 Dr. Hope's Lucky Subliminal Poker Therapy CD Would you like more good luck when you play poker? Now you can influence your mind to attract it! Order your copy today. Click on the book cover to read a synopsis. The Best Red Book on Weight Control Whether you want to lose ten pounds, a hundred or just want to learn how to become healthier and more full of energy this is the book for you. Click on the book cover to read a synopsis.